Music is seemingly magical force that moves us all. No matter what background we come from, where we will end up, or what’s going on in our lives presently, there will be a genre of music that speaks to us. However, the music that we all love does not simply materialize out of thin air. It takes grand amounts of talent and dedication to craft the sounds that can echo throughout history and still resonate with listeners. However, there are many other challenges associated with music composition. For a select few musicians, there is an entirely different tier of challenge that comes along with the art form. Naturally, I am referring to musicians with hearing impairment. In this list of famous deaf musicians, every single person is an accomplished artist who fought against their conditions. When it comes to a list of famous deaf musicians, Ozzy Osbourne’s name is often included. It isn’t hard to imagine that the “Godfather of Heavy Metal” may have listened to some pretty loud and intense music throughout his career. As such, it was inevitable that his hearing would be affected by the years of performing. In the end, Osbourne managed to walk away with only mild hearing damage and Tinnitus, which causes a very noticeable, persistent sound in the ears. However, he was still able to appreciate the danger that could come from enjoying music a little too much. This led him to encouraging listeners and musicians of all ages to protect their ears when attending or performing at live concerts. He also starred in an educational video titled Listen Smart, that was used to spread awareness about hearing loss and how to protect your ears from damage. Hearing loss can be diagnosed at a very young age, as was the experience for young Stephen Stills. However, it can most definitely worsen as time goes on, especially for a musician. As Stills performed live, as well as in recording sessions, his hearing suffered further damage. Luckily, a former musician known as Neil Young, helped Stills out by suggesting special hearing aids that improved his life significantly. Another gifted musician that suffered from hearing issues at a young age, Mandy Harvey overcame a great deal in order to bring her lovely Jazz sound to the masses. Initially, her hearing issues were bad enough that she had to sit in the front row of class in order to understand the lecture. 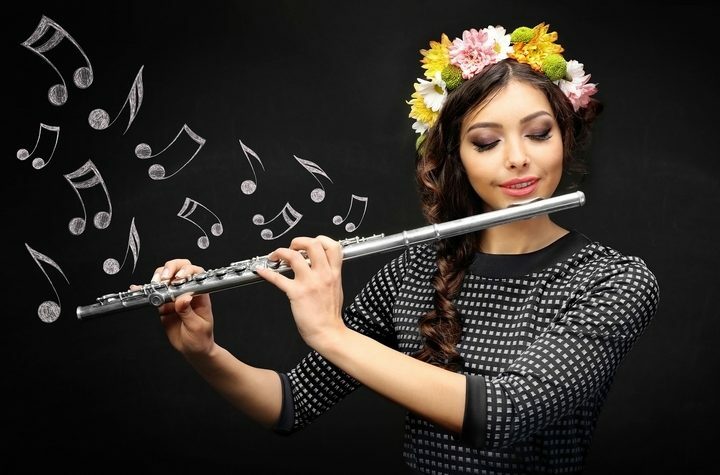 Of course, that did not stop her from pursuing her passion, leading her down the path of becoming a music professor following college graduation. Unfortunately, her hearing began to rapidly deteriorate. Even with medical treatment, she completely lost hearing in both of her ears. As you can imagine, Harvey was devastated and found herself in a deep pit of depression. One thing that helped her through that hard time was the realization that she could still play the piano perfectly well, as well as the fact that her pitch was so on point that the key to her singing was to remember how to sing the notes she intimately knew. Her experience as a famous deaf musician allowed her to continue to thrive long after sound had left her. Sean Forbes is a famous deaf musician that is quite a bit different than many others, as he has pretty much always been deaf. This is due to a severe illness that he suffered from at only one year old, which left him without the ability to hear. Music would always be a large part of his life, however, as both of his parents were musicians. Growing up surrounded by the rhythm of music, Forbes became interested in the vibrations that came from the sounds around him. Naturally, this led him to taking up the role of drummer, followed by guitar and bass at a later time, though. After that, however, he found his genre in the loud, rhythmic bass of rap music. This led to his debut album, I’m Deaf, as well as the creation of a non-profit organization known as D-PAN, which finds and promotes deaf artists in many different fields. Dame Evelyn Glennie is a percussionist who began losing her hearing at the age of 8. Despite the best efforts to maintain her ability to hear, she was deaf by the age of 12. Naturally, this did not stop her from becoming a Grammy Award winning artist and a well-known name in the world of music. By performing barefoot, Glennie is able to feel the vibrations created by the percussion. Using this, this famous deaf musician continues to grace the world with her impressive sounds. Being told that you simply cannot do something is one of the greatest sources of ambition a person can get. This happened to Janine Roebuck while she studied music at Manchester University. Music was her lifelong passion, but she unfortunately began to notice that sound was fading from the world around her. Upon receiving the results of a hearing test, she was advised to “Sing while you can,” as she would never have a career in music. While hard to overcome, this did not stop her studies. Roebuck continued her education before moving on to the Paris Conservatoire, as well as the National Opera Studio in London. The famous deaf musician kept her condition a very private secret from the public for an entire decade before the stress of hiding the condition and adapting to the situation began to take its toll. She eventually gave in to hearing aids that allowed her to continue to perform, but was afraid of the reception she would receive afterwards. To her surprise, she was met with respect and admiration for her dedication and perseverance. Known as the “Japanese Empress of Pop,” Ayumi Hamasaki stunned fans when she announced that she could no longer hear out of her left ear in 2008. The reality of the situation was that she had been suffering from gradual hearing loss since the year 2000. She had also been diagnosed with Ménière’s Disease in 2006. She then went on to assure fans that she would continue to sing for as long as she could, and has since produced more albums that have been met with high praise in the years following the announcement. Ayumi Hamasaki is one of the most famous deaf musicians in Japan.